Holland IT - Technology. Business. People. - See how we can help you grow. Holland IT Consulting is an ally to individuals, small businesses, and nonprofits in the Atlanta area that want to get the most out of their technology. For over a decade, Holland IT Consulting has helped its clients not only find solutions to their immediate problems, but also build better relationships with their technology. Whether creating an entire office network or simply modernizing the network you have in place, our consultants work with you to get your technology in top working condition. Why choose Holland IT Consulting? At Holland IT Consulting, we value our clients and their specific needs. Our clients rely on us to provide forward-thinking expertise, objective advice, straightforward project planning, and attentive service. We deliver our services at extremely competitive rates and offer discounts for long-term contracts, non-profit organizations, and referrals. Our team works diligently to stay informed about the advantages and disadvantages of new technological developments. We never recommend a product without thoroughly researching it or trying it ourselves. This wide berth of knowledge allows us to create innovative solutions with available technologies that ultimately save our clients time and money. We work to find the most suitable strategy to accomplish objectives. Having worked with a wide range of business and home clients, we know which solutions work best for different situations. When acquiring new equipment for your office, we happily offer our expertise, but make no commission from any manufacturers when advising you on making a purchase. We will never encourage you to purchase equipment that you don’t want or need, nor will we push unnecessary services upon you. The strength of any consulting firm can be measured by its ability to effectively create a functional project plan. Our clients will testify that we consistently deliver realistic and practical projects plan that stick to the original budget proposal. Because we’ve helped so many small business and home offices modernize, we can identify a client’s needs quickly from a few conversations and then safely predict how long a project will take and how much it will cost. While we are proud of our record for completing projects on time and on budget, we maintain the flexibility necessary to respond to changes to our clients’ needs. 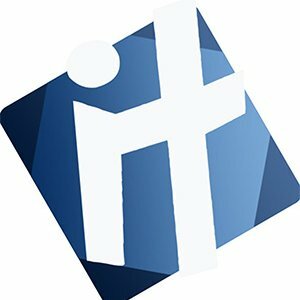 Holland IT Consulting has rightfully earned a reputation for providing quality service in a timely manner. Usually within a day of request, one of our specialists can be on-site; with returning clients, we are often able to resolve issues remotely. Following any and every service, a representative reaches out to ensure our clients’ satisfaction. No matter the scope or size of a project, we handle each task with same reverence and professionalism our clients have come to depend on. Let us take care of all your IT needs. Take a look at some news and some of our latest projects! David Gewirtz over at ZDNet wrote a great article on the importance of the 3-2-1 strategy for data integrity, backups, and Network Attached Storage. Holland IT on the Radio! This article by Mike Bohlmann at www.entrepreneur.com does a great job breaking down the many benefits of hiring an IT consultant. From Our Friends at Dad’s Garage Theatre Company – Check It Out! When it comes to providing stellar support for your business, we've got you covered here at Holland IT Consulting. Rex has an extensive background in IT, including technical support, networking technologies, infrastructure, and customer service. With 25 years in the industry, Jason brings his vast IT knowledge along with his ability to easily translate complex solutions into straightforward strategies. Gavin is a 10 year consumer and small business electronics veteran. His background in retail management has given him the acumen to help find cost savings in all aspects of business. I have been extremely pleased with Jason Holland of Holland IT. He has done everything from small to large jobs for us including completely designing where to set up wiring and working with the drywall crew and Comcast technicians when we relocated the business. Brought us up to speed with PCI compliance laws. Very easy to talk to and he'll give you advice regarding the health of your online security and growth of your online presence without being pushy to sale you things you don't need. Holland IT has handled our technology needs no matter how big or small, giving us peace of mind so that we may spend our energy on other projects to keep our businesses running as efficiently as possible. Holland IT is the only outfit that I trust to handle my IT needs! Jason and his crew are unsurpassed in their ability to handle any computer situation. Because my business relies heavily on a healthy and up to date computer system, it's of the utmost importance to me to have a quick and convenient solution when a problem arises. In the past, I've encountered several "fly-by-night" computer guys--- dishonest, disruptive, and inept. The type of people that you don't know have taken advantage of you until it's too late. Trust me, Jason is not that type of guy! He's honest and knows his craft, and how to find a solution in any given situation. He's well-versed in visual/graphics applications which is a major benefit to me. Jason Holland IT will pick-up, set-up, trouble shoot, as well as consult on back-up plans. He always follows up to make sure your system is running smoothly. Give him a try, you'll see the difference! Dad's Garage is so grateful to have Holland IT on our side. With their help, we've been able to modernize our office and continually improve the way we use our technology and manage our data. As a non-profit arts organization, we feel fortunate to have found a tech company with its own enthusiasm for non-profit work and the arts. We trust Holland IT Consulting because we know that they want us to succeed. Holland IT Consulting is a reputable firm that I have entrusted my business with for almost ten years. They can handle almost any situation from simple "how-to" instructions to critical on-call issues and complete network build-outs and renovations. They stay abreast of the latest technology advancements.